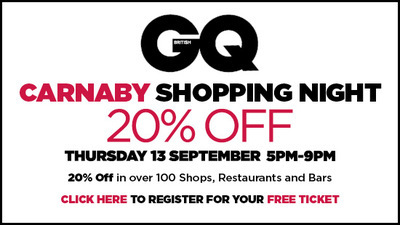 An exciting event hosted by popular men's magazine GQ is taking place on Thursday 13th September from 5-9pm. 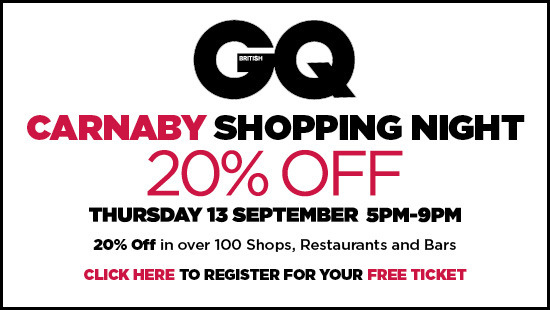 Throughout Carnaby Street, Kingly Court and the Newburgh Quarter, over 100 shops will be offering live entertainment, complimentary food and drink, special demonstrations and an amazing 20% off discount too. 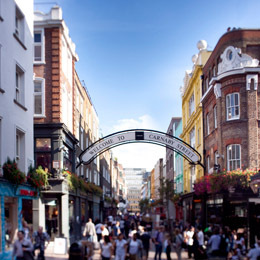 image from Carnaby Street website. Said to be one of the top fashion events of the year - just one night before the glorious London Fashion Week kicks off - it's even privy to GQ's Associate Editor giving trend talks on the autumn/winter collections in the magazine's very own pop-up shop at 46 Carnaby Street. With the additional opportunity to win £500 worth of shopping vouchers and with 200 goody bags on offer, tickets are understandably selling out fast. To register your interest, click here.